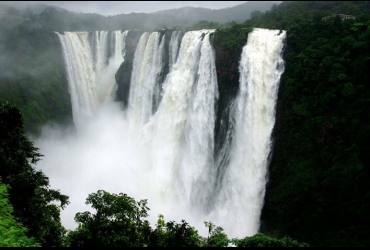 Jog Falls, Gerosoppa Falls or Joga Falls is the second-highest plunge waterfall in India located in Sagara taluk in the state of Karnataka. 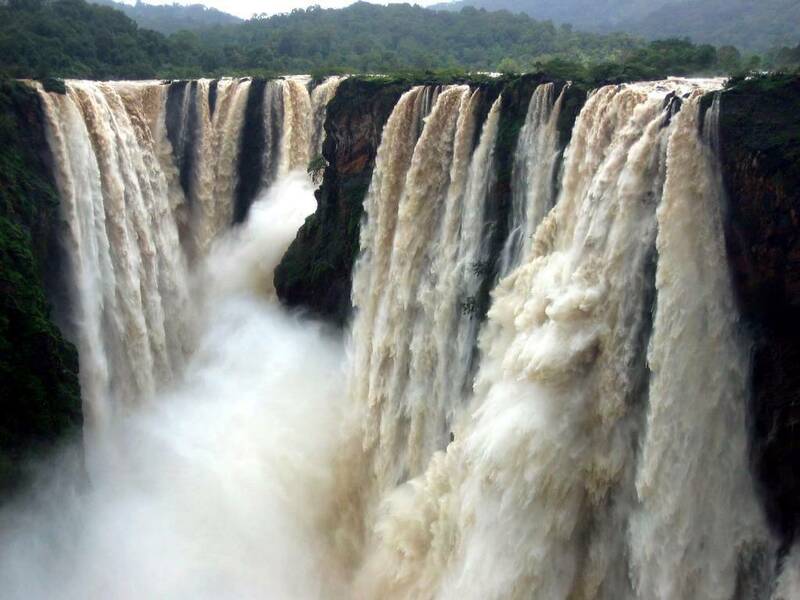 The segmented falls are a major tourist attraction. 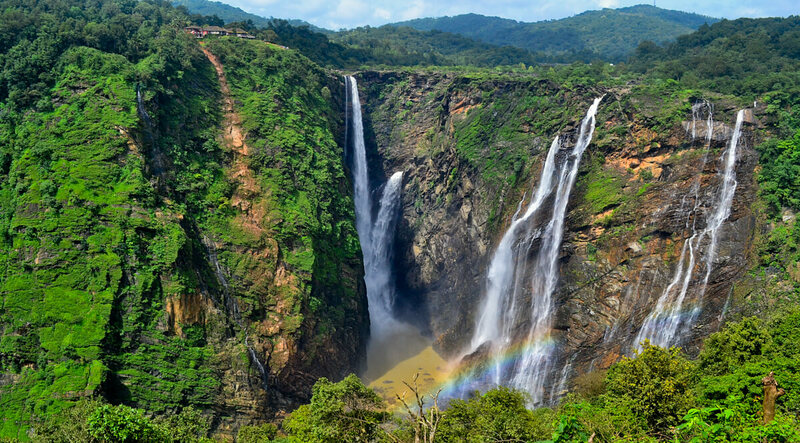 Jog Falls is created by the Sharavathi River dropping 253 m (830 ft), making it the second-highest plunge waterfall in India after the Nohkalikai Falls with a drop of 335 m (1100 ft) in Meghalaya. Talaguppa and Sagara (SRF): For Sagar 30 km. Honnavar(68km) which is in Mangalore-Mumbai Konkan Railway route. 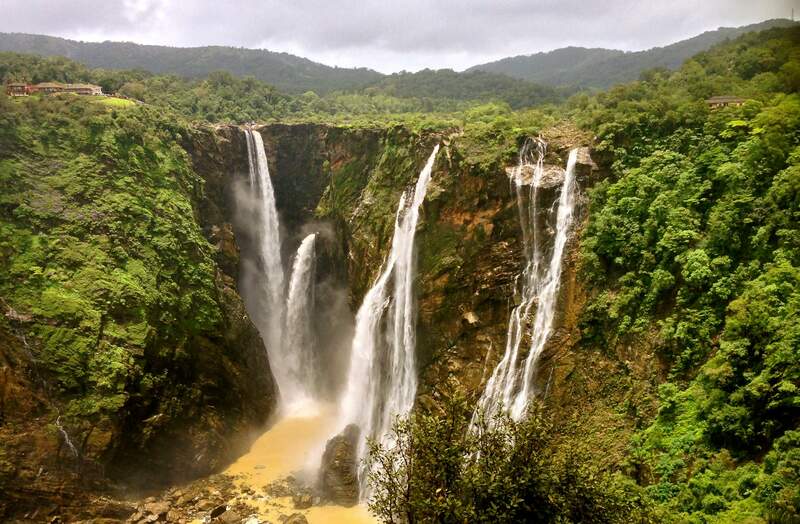 Nearest bus station: Sagara and then Jogfalls busstop.